Don’t just find new customers; engage your current customers! Email marketing is not dead. It’s very much alive and has consistently proven to be one of the most powerful and cost-effective forms of marketing in the digital universe. Email is a primary vehicle used to convert leads into customers. Moreover, let’s not forget that once your message is delivered, it stays in the inbox until someone takes action. As great as the results can be, finding and executing an email strategy that drives the bottom line is no easy task. For this purpose, our seasoned veterans are here to help. 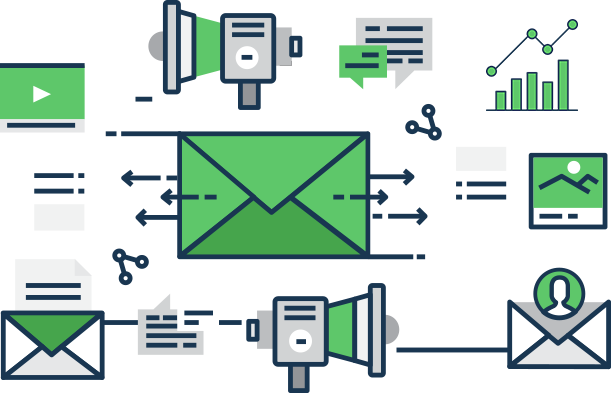 At Ayokay, we ensure your marketing wheels are constantly turning by maintaining your customers’ interest levels with our extraordinary email marketing tactics. We firmly understand the difference between an email that actually converts, and spam that is instantly discarded. Our concerted efforts aim to provide impressive emails that people want to read, and subsequently, take further action. This typically includes identifying your objectives in terms of building awareness, obtaining sales leads, increasing engagement, making an announcement, surveying, ect. Keeping the interests of your target audience in mind, our wordsmiths will craft email copy that entices and encourages a strong response. This includes everything from the subject line, to the body copy, all the way to the conclusion with clear calls-to-action. Each of your customers likely have different levels of interest in your brand. With this in mind, our team will work to understand the unique details of the customer journey and craft non-intrusive, systematic email funnels to seamlessly guide subscribers to the desired action. One of the cornerstones of our strategy is to gauge results across the board and find ways to optimize our efforts. By maintaining a firm grasp on trends and emerging industry breakthroughs, we guarantee each of our tactics is in tune with the current digital landscape. The next step involves learning everything we can about who you want to engage with your emails. Generally, most people tend to read the bulk of their emails between 9am and 12pm, between Tuesday and Thursday. Based on your goals, we will schedule each of your email blasts with data-backed insights to maximize open rates. We not only draft compelling emails, we also answer customer queries, address feedback, and any other type of back-and-forth with recipients in the most respectable manner. Our team places a high value on keeping you informed and knowledgeable throughout the entirety of each campaign. 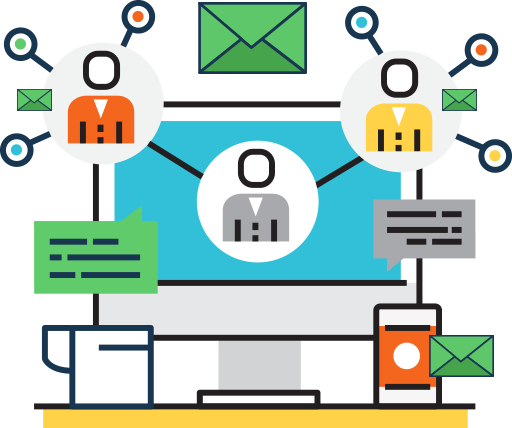 Proficiency in creating emails for both B2B and B2C clients across various industries. Extensive experience in finding the little details as to what exactly makes your target audience click. Proven understanding of how copywriting and first impressions can make or break email campaigns. Expertise in using various tools and techniques to create, schedule, and analyze performances. Our team takes email marketing VERY seriously. We are fully adept in building and optimizing campaigns designed to drive audience engagement, retention, and conversions. Reach out today and request a free sample to learn more about what we can do for you. Our executives are just a call away! Send Emails to The Right People at The Right Time!